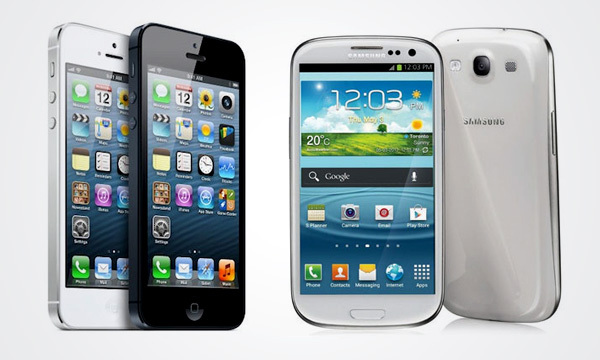 iPhone 5 or Galaxy S3 – which is best for you? The smartphone battle increasingly comes down to Apple versus Samsung – but with two top-rated phones currently available, which is best for you? Samsung uses Google’s Android operating system; Apple uses its own iOS. They look very different, with Apple’s iPhone dominated by the now familiar grid of icons for apps and functions such as the web and calls. Android is infinitely customisable, with widgets that take up as much of the screen as you want sharing space with standard icons. So if you want to see your inbox on a main screen, rather than clicking through to it, you can do that on Android but not on iOS. Equally, however, if you want a neat and friendly grid of icons on every screen, then the iPhone will do it for you with very little hassle. Both will let you put apps into folders to make things easier to navigate. At the heart of the iOS v Android debate is the idea of a highly curated experience, iOS, where everything must match up to Apple’s strict rules, or Google’s approach which is open and different on each handset. Samsung is aware that that can make Android seem unfriendly to new users, so there is an easy screen mode which presents users with standard options, and the default is to a mixture of icons and widgets for, say, news and weather. It’s added features such as ‘Direct Call’ which mean you can phone someone automatically by lifting the device to your ear if you’re looking at their contact details. Besides the look and feel, however, Android and iOS differ in what software developers are allowed to build to enhance your phone. Baked in to the S3 is Gmail, Google Maps, YouTube and other standard Google features such as Google Now, which aims to second-guess what you want to know and suggest it before you’ve actually searched the web for it. Think flight delays if you’ve previously searched for a flight. Apple prefers to let developers add features such as that, and its most recent foray into doing such things for itself with Maps was a disaster. It would be easy to say that the iPhone 5 is made of glass and aluminium, the S3 is largely plastic, and so one feels far more like a premium product than the other. But that would be a harsh, black and white view. The S3’s 4.8” screen defines the device, making it feel large and luxurious; the iPhone’s 4” equivalent is much more rectangular, and while both look lovely, they also look different. It’s worth pointing out too that the S3 can be upgraded with removable memory cards and for wireless charging, while the iPhone is what it is. The S3 weighs 133g to the iPhone’s 116g; the difference is noticeable but insignificant. The iPhone processor is dual core while the S3’s is quad core, but the difference isn’t noticeable. In terms of battery life, both, in my experience, last a similar period of time but the iPhone is often just ahead. Both, thankfully, now get accessories that combine a sleeve with a built-in extra battery. Both record in HD, Apple’s Siri voice assistant is less imperfect than Samsung’s S Voice. The S3 also has features such as ‘Smart Stay’, which aim to keep the screen on when the front-facing camera detects you’re looking at it. It works, most of the time. 4G versions of both are available. All in all, however, the S3 and the iPhone mimic their operating systems: the iPhone is neat, contained and elegant, perfectly formed while the S3 has more options that leave things open to consumers. You could argue that makes the S3 either harder work or more rewarding. By general consensus, the iOS app store is slightly larger than the Android Play Store, but it’s quality rather than quantity that matters. For now, on that measure, iOS is still winning but Android is catching up. So if you want, for instance to download Jamie Oliver’s latest app, it’s in both stores. If you need to instantly access bus timetables, they’re in both too. The really luxurious applications that are popular on the iPad, such as The Orchestra, are missing from Android but that’s less of an issue on phones. On current UK contracts, you can easily pick up an S3 free at £26 per month and an iPhone 5 for £36 per month, plus £25 up front. Both deals are via Carphone Warehouse on a two-year contract. Network prices vary, but the differential remains; free phones for both on Vodafone, for instance, make the iPhone £10 per month more expensive. The iPhone has become an icon, a totem among its fans. It’s not cheap, but those fans say you get what you pay for. Others argue the S3 does more for less money and offers far greater flexibility. There is, however, no right answer. 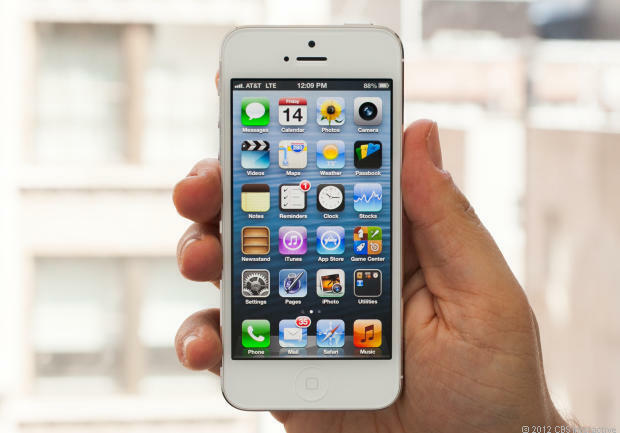 Many argue, too, that the iPhone is an easier device for users to start with as a smartphone. But the momentum, for now at least, seems to be with Android and Samsung’s S3 is its best advert.